Delicate touches make the ASUS VS229H-P truly great, with its 50,000,000:1 high contrast ratio and HDMI interface, its optimized for the finest image and color quality. The sturdy stand and slim profile don't compromise style and ensure stability and durability. Aspect Control allows users to select a preferred display mode among Full and 4:3 for true-to-life gaming or movie watching without any data loss or image distortion. 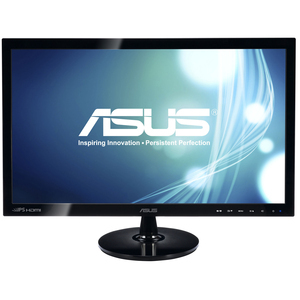 Product Description: ASUS VS229H-P, LCD display, TFT, 21.5"